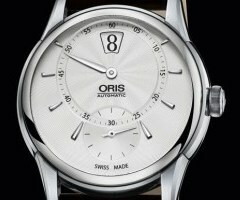 Watches with a jump hour complication have an hour hand that does not sweep between the hours. 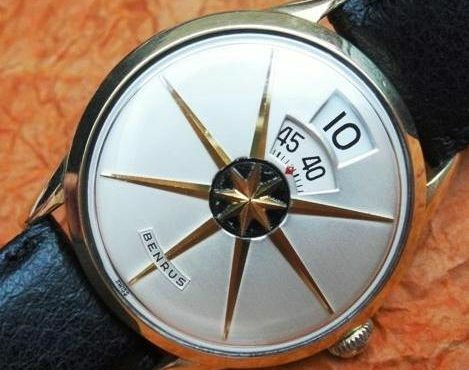 Instead, it points exactly at the current hour and jumps to the next hour as the minute hand reaches 60 minutes. Theoretically this makes telling the time a bit easier, as the current hour is always being pointed at directly. 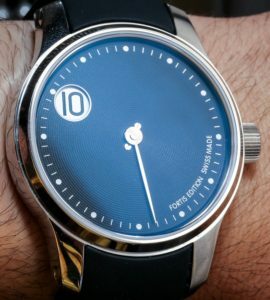 Some watches with jump hour complications use discs with imprinted digits as opposed to hands. 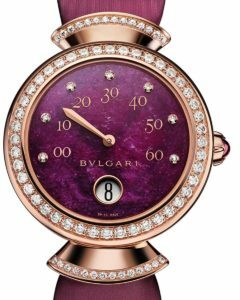 Today’s jump hour watches are based on a concept that was developed in 1882 by Austrian engineer Josef Pallweber, who created a digital display for pocket watches that used numbers on rotating disks in addition to classic pointers. 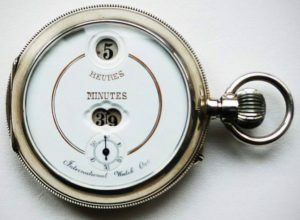 It became a popular complication for pocket watches throughout the late 19th and the early 20th centuries. The boom for jumping hour watches didn’t really come about until the 1920s and coincided with the Art Deco movement. 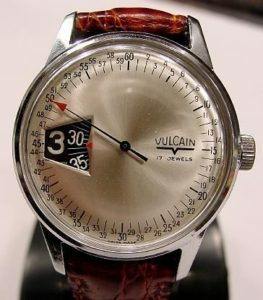 The complication fell out of fashion until the 1970s when the jumping hour made something of a comeback in both mechanical and quartz form. 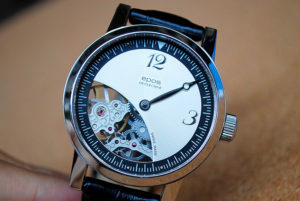 Many of the cheaper examples from this period are actually direct read watches comprising discs for hours, minutes and seconds that are all in constant motion but viewed through windows so that only the relevant part of each disc is shown. Part of the complexity of creating a jump hour movement is the regulation of power that is transferred to the hour disc. Unlike a traditional time display which uses a constant force regardless of position of the minute or hour hands, the “snap” of a jumping hour only needs a delivery power for a short period each hour when the mechanism engages. This sudden surge of power can cause the amplitude of the balance to vary. A further problem to wearers is the precision with which the jump occurs. Very interesting post, Mark! Thanks! 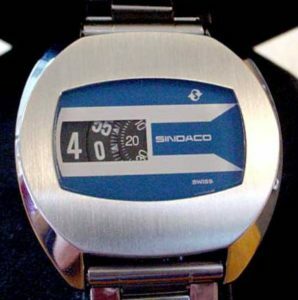 I’d no idea about this type of watch! As always an interesting post! Really great information. I did not know anything about the jump hour watches. I always learn from your site. 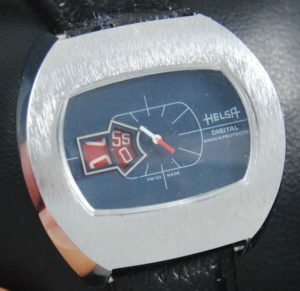 I don’t think that I would like this style of watch. Thanks for your “Time Tidbits”, They are always interesting and informative.